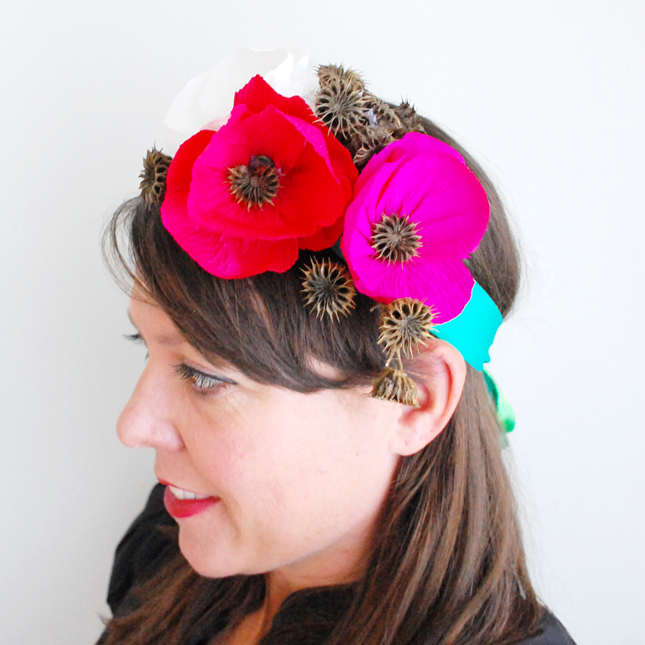 This month I did a paper flower headband which you can make in lieu of a party hat for your next party. It's fun and you can personalize it to your liking. Check it out on the Best Friends for Frosting Blog, <here>.